Judy’s Book is Proud to Sponsor MamaCon! 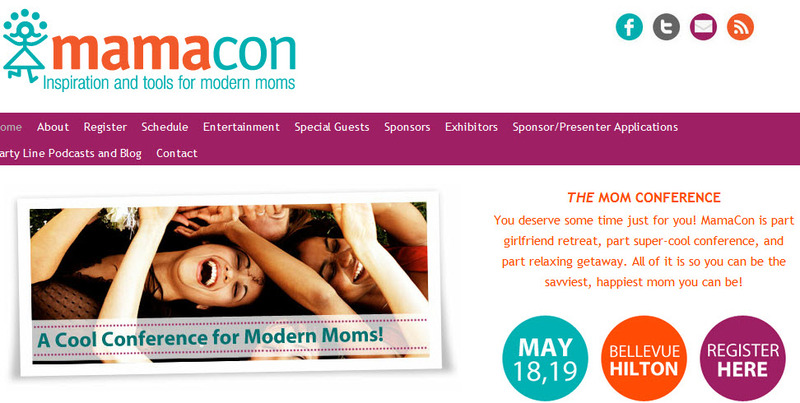 MamaCon is the conference moms have been asking for. Something fun, relaxing all the while providing moms the REAL tools they need to support them in their parenting. Forward on to friends and share on Facebook and Twitter. We recommend grabbing a friend or two and attending together. Each MamaCon event will have power presentations by today’s top notch parenting experts as well as lifestyle specialists. Food, wine, entertainment and self-care make the MamaCon event the most talked about parenting conference for today’s modern Mama! The first MamaCon is kicking off in Bellevue WA on May 18th and 19th. This is an event for local Seattle and visiting moms. Here’s a taste of the events, but you should really visit the Mamacon site for more info. All day Saturday you will be in mini-workshop sessions learning about topics relevant to you and your work as a mom. If Mama Ain’t Happy, No One’s Happy: How to Make it Happen! Sharing the Work: Get Your Partner to Step Up! No, You Can’t Wear THAT! This entry was posted in Judysbook on February 21, 2012 by judysbookblog.